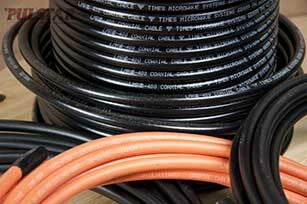 We stock large quantities of cable assemblies for immediate delivery. Our response and delivery time is second to none. It starts with understanding your needs and providing the resource to save you time and money. Pulstar offers numerous turn-key solutions such as kitting, labeling, order staging and packaging designed to meet your needs. The benefits of Pulstar encompasses more than getting products from point A to point B - try us for our value-added service that effectively tailors our capabilities to your requirements, saving you time and money. Since 1987, Pulstar has grown on a solid foundation of long term associations with customers and vendors who value high quality products backed by outstanding service. Our customers appreciate dealing with people who are familiar with their needs. Pulstar's low employee turnover and commitment to customer service are keys to building and maintaining ongoing partnerships. Our wireless offering are the results of market direction and customer feedback. Manufacturers we represent are carefully selected based on product quality and technical assistance.